"What's a fat kid like you going to do!?" Great Point Media has debuted a new trailer for the indie coming-of-age drama Measure of a Man, the second film by English filmmaker Jim Loach, who happens to be the son of acclaimed filmmaker Ken Loach. 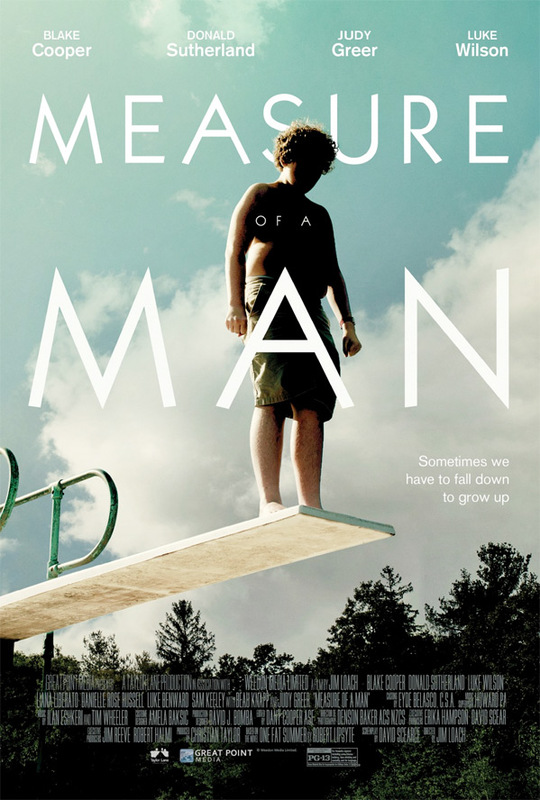 Measure of a Man takes place over one summer where a teenage boy comes to understand who he is and what makes up the "true measure of a man". Blake Cooper stars as Bobby Marks, with an impressive ensemble featuring Judy Greer, Donald Sutherland, Beau Knapp, Liana Liberato, Luke Wilson, Danielle Rose Russell, and Sam Keeley. I'm intrigued by the way the trailer lists films "in the tradition of", one of the first times I've seen that. And this actually looks quite good. Over the course of this emotional roller coaster of a summer, secrets are revealed, lessons are learned and fourteen-year-old Bobby comes to understand who he is and what makes up the true measure of a man. A bullied teen experiences a turning point summer in which he learns to stand up for himself. Measure of a Man is directed by English filmmaker Jim Loach, making his second film after Oranges and Sunshine in 2010 previously, a plenty of other TV work as well. The screenplay is written by David Scearce, based on the novel "One Fat Summer" by Robert Lipsyte. This hasn't premiered at any film festivals just yet. Great Point Media will release Loach's Measure of a Man in select theaters starting May 11th this summer. Interested?